Action Figure Insider » Funko! 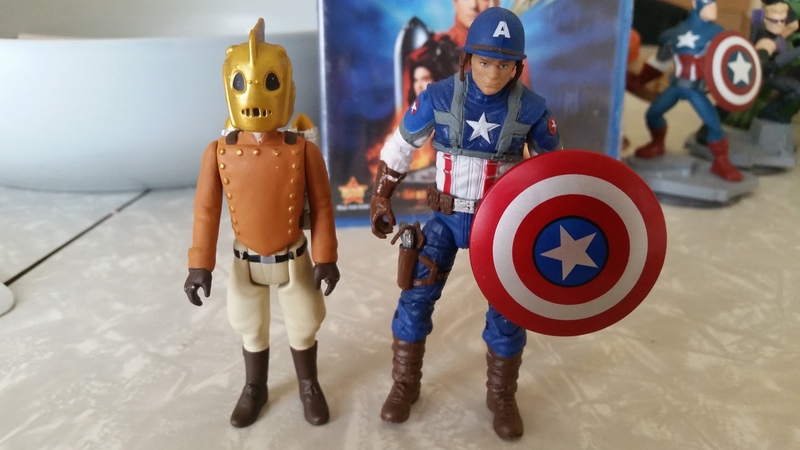 ReAction Figures “The Rocketeer” Review! Funko! 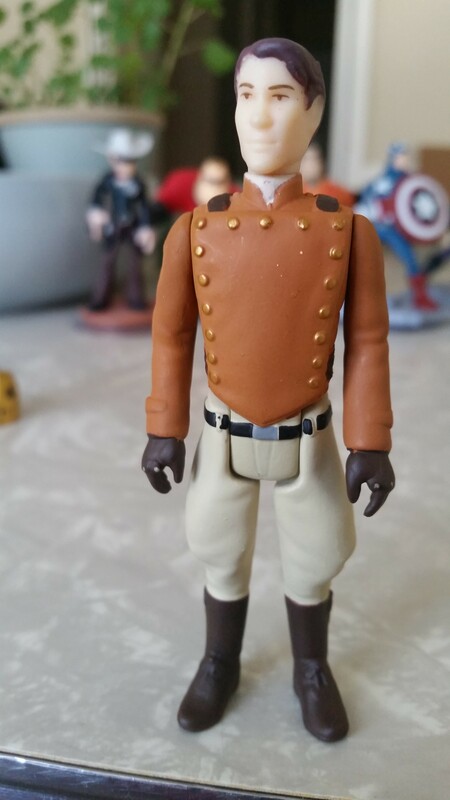 ReAction Figures “The Rocketeer” Review! Funko has got all of our numbers with the ReAction Figures line. They are hitting all of our collective soft spots. 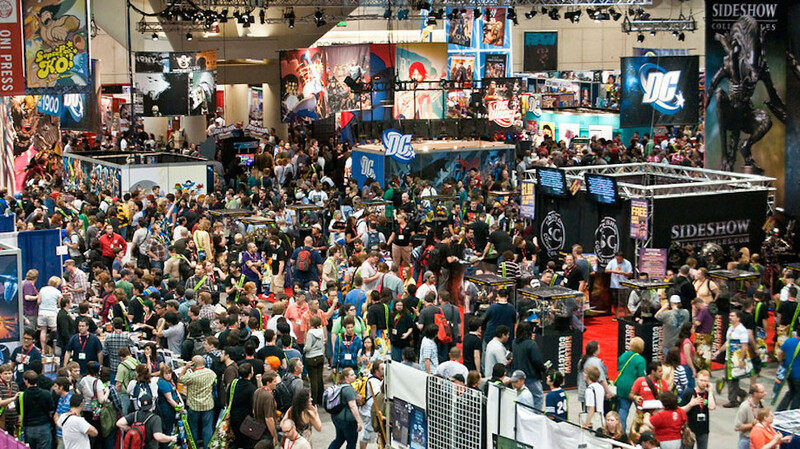 I hope this line just grows and grows (it’s already pretty massive) to just touch everything we’ve ever wanted. 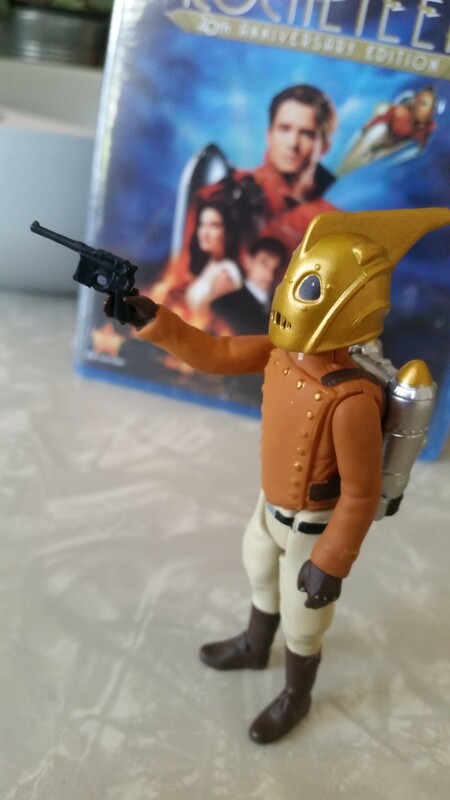 Today I’m taking a look at “The Rocketeer” figure, which is just perfection. This line was created to reflect a time of days gone by, when action figures were simpler but just as exciting. As a kid I lamented not having a figure of “The Rocketeer” and resorted to taping empty coke bottles to my back to fly around my home. I’m glad that they have filled the void left empty in my childhood with this awesome figure. I really love the retro-cardback and almost regret ripping through it to get my grubby hands on Cliff Secord, “The Rocketeer”. The figure comes with two awesome accessories that make this figure just so on the nose. 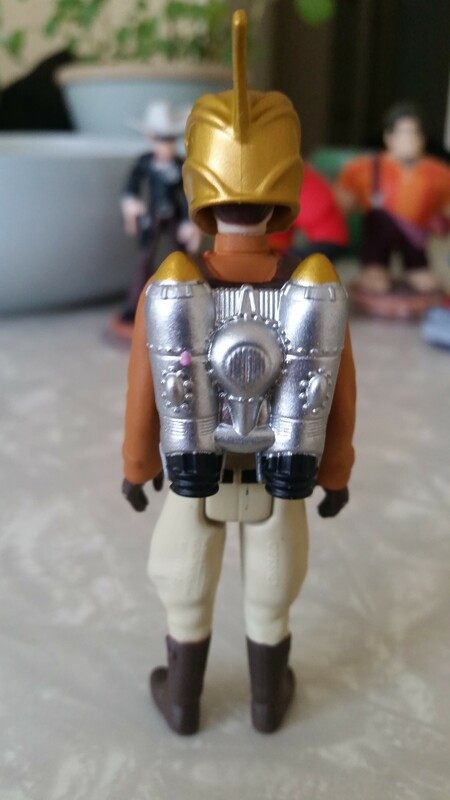 He has a removable Rocket-pack AND signature helmet. I would’ve been just has happy if all of that stuff was attached to the figure but Funko really went for the gold and gave us the figure of our dreams. Not even making us hold out for a variant, he’s done exactly right. I don’t know why it’s so important to me that his pack and helmet be removable but it just is. Also I need to mention the detail of the pink little button on the Rocket-pack, that’s not a button but a piece of gum. That’s right, they even included the piece of gum that keeps the pack from blowing up, a nice little reference to the film to make this toy screen-accurate. Here he is without his gear, a nice little 5 POA figure that fits in with pretty much anything else from your childhood. He kind of looks like a classic “Ghostbusters” figure, which just makes me love him all that much more. 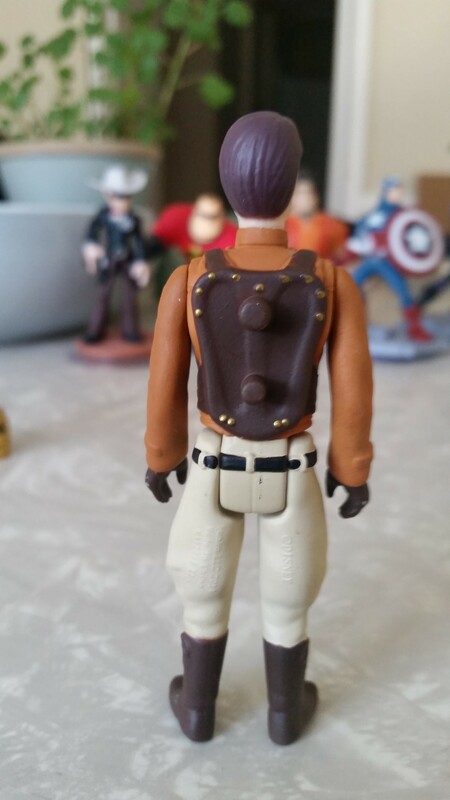 On his back he has detailing on the straps for the Rocket-pack, more unnecessary but well done details that just heighten what really could’ve been a cheap one-off figure. He also has two pegs on his back that fit snugly into the pack when you want him to wear it. Overall this is a great figure that fills me with nostalgia, happiness, and a bit of sadness that he didn’t exist when I was a kid. The helmet fits nicely on his head, a bit loose, but I like the way it allows for you to manipulate it into poses without having to move his head. It almost adds to his articulation a bit. I really love the sculpting on the gloves and head. I think that with all the great figures we have coming out this year, there is no way he won’t end up on my Top 10, and I suspect many others as well. He’s a bit short, more in tune with what 3 3/4 inch meant back in the 80’s, but I don’t mind that at all. I’m more than pleased and just happy he even exists. I can’t wait to see what else ends up being announced and will probably pick up a few more figures from the line. Special thanks to Allison at Funko for making this dream come true! Let me know what you think! Support this line so we can get more!!! Born and raised in El Paso, TX. I grew up collecting and displaying toys. My love for action figures has only been strengthened by the fact that the internet provides a community to share that love with. I currently reside in Los Angeles, CA freelance writing and buying too many toys. 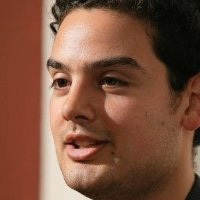 Read other articles by Cesar Zamora. Great review! Save me some time and help me out…where did you get the Luger? Red Skull? Doctor Doom, I think. It’s confusing because I think I gave Baron Zemo’s gun to Red Skull and Doctor Doom’s to Zemo. It’s either Doom or Zemo. Thanks for reading! nice hope he manages to sell well enough for funko to try to be able to do the other characters from the film to keep him company still can’t believe they manage to do the rocketeer in plastic given all the red tape funko must have had to go through with disney. I put this on pre-order as soon as I saw it available. Yep I was a pretty decent fan back in… 91? In recent years my want for a figure of this guy had sent my searching.. only to find bend-ems figures that actually don’t look that bad.. but they aren’t exactly the action figures we’re looking for. To be honest I would be more keen for a fully poseable super articulated guy, but this great until we see one. Obviously your idea of perfection and mine- differ completely– as this figure is lackluster at best- and regrettably I think this is going to be the best of the forthcoming bunch.. -close– I know they are avoid accuracy as far as facial sculpts to avoid paying likeness fees., but I don’t think could they put out a less sculpted head if they tried.. Not to mention the helmet and head are both extremely too big and I was hugely disappointed in seeing this figure up, It could have been passable- since I would have left the helmet on anyway– but it feels like a SD figure because the helmet looks so oversized and goofy on him..
Agree to disagree I guess. I think he’s swell! I totally agree with stewbacca. 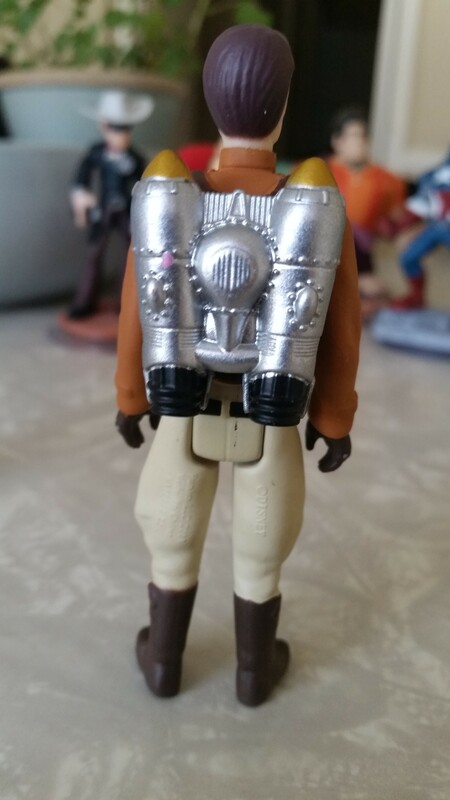 It’s 2014, and this is not an accurate representation of an awesome 4″ Rocketeer figure. This is a cheap grab at cash, using a terrible sculpt with adequate accessories. 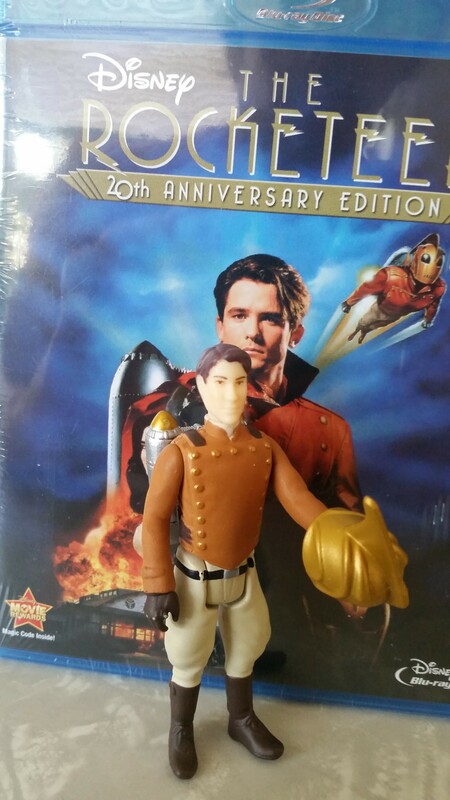 I know it’s awesome to even get a 4″ Rocketeer figure (in addition to the other licenses) but the outcome is just awful. If you’re going to do a figure, do it right. Full articulated, good sculpt with ALL the accessories! Buying these figures is catering to the mindset of “Well, it’s better than nothing” but if you DON’T cater to this, we might actually get something EVEN BETTER. Maybe I should just 3D print my own LOL…..
You do understand the concept of this toy line? Complaining about it is kind of awkward because the execution is so specific that you’re either in or your out. Obviously you don’t like it but I hope you understand this is a very specific toy line catering to a specific audience (although I think kids would love these as well). I can see your point of view but it does you no good to bash something that’s clearly not what you want it to be because it was never intended to be that. Gracias por leer! Perdon,pero no te puedo ayudar. Lo mejor seria mandarle mensaje a Funko directamente. Feliz Año y disculpe que no te podria ayudar mas. I got this figure just towards the end of 2014. I have seen the film several years ago and I really enjoyed it. As a matter of fact, I just absolutely love this figure. I will say as emgo316 on YouTube says, which he does cool Transformers toy reviews; I definitely recommend you see his videos if you are a Transformers fan, but I will say this as emgo316 says: if this toy appeals to you, then pick it up, and if not, then you saved some bucks. I was never alive during the 70’s or 80’s at all, just the late 90’s, but I think this figure is very awsome. There have been reviewer’s of this toy, such as Cesar Zamora, who wrote this article, who wished this toy existed back in the day. In fact, I feel sorry for those who never got to have one at all untill now. This toy should have existed all these years ever since the comics and movie was produced. 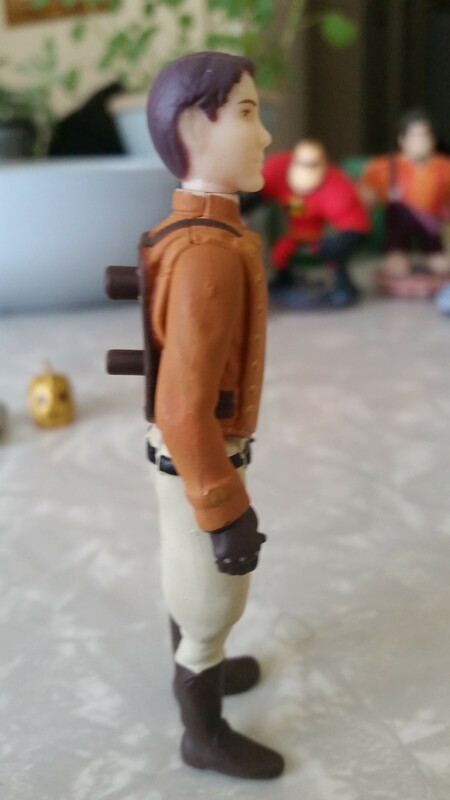 Even some went to great lengths to buying another figure and customizing it to be the Rocketeer. 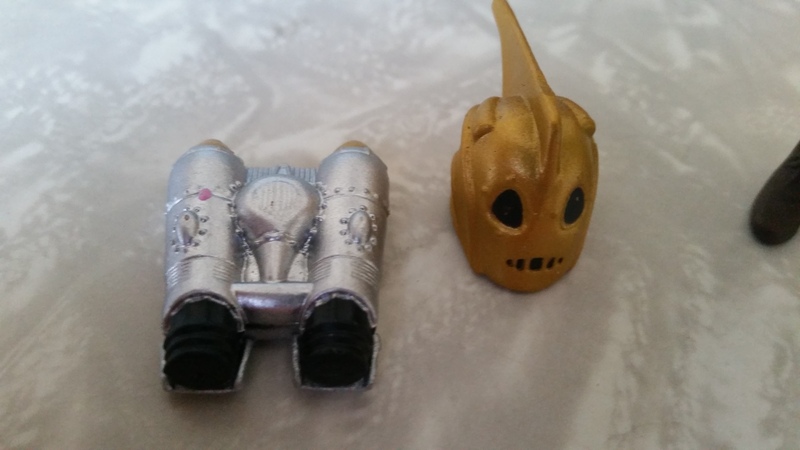 Again, I feel for those whose piece of childhood was left out from not having an affordable Rocketeer toy like this produced. 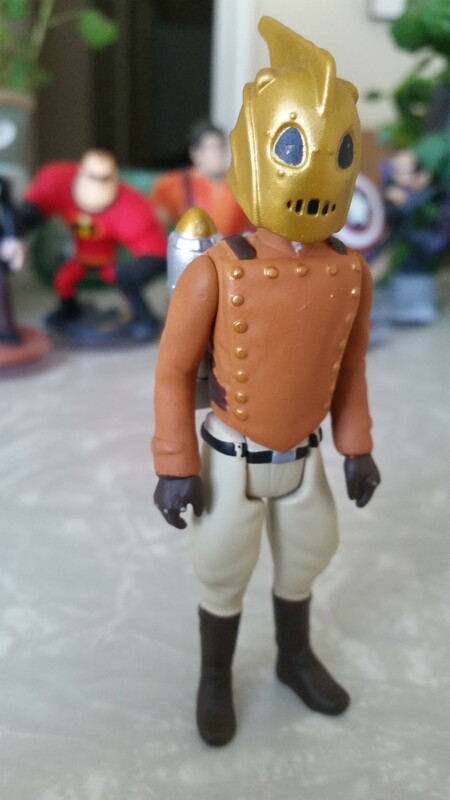 There are 12″ fully articulated figures of the Rocketeer made, but avalibility was scarce, and they were more of a high end collectible. Funko and Super 7 employers and employees who were involved in the making of this figure, if you are reading this, good job on such an amazing job of this figure. You have filled in the void of what was missing all these years. These ReAction figures are not classic toys, for they were made last year, and new ones are being made this 2015, but are still just as good as the Kenner figures were (I’ve seen some Star Wars figures of a friend of mine.). Keep up the good word, Funko and Super 7. I forgot to say something. 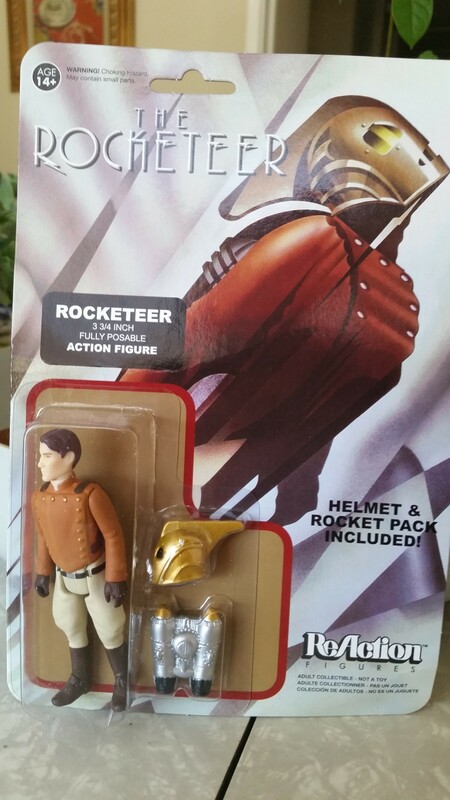 This figure is made just in time for the Rocketeer film reboot coming in a few years. When Disney makes the film and hits theaters, I just hope it will be just as good as the original. 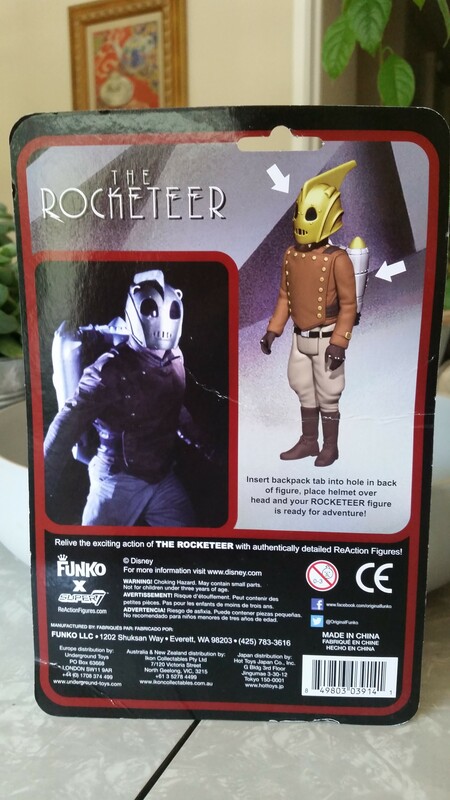 And hopefully, a better toyline will be made for the film as well, for a new generation of Rocketeer fans. I made a spelling mistake in my first comment. I wrote “keep up the good word, Funko and Super 7”. I meant to say “keep up the good work, Funko and Super 7”. Again, employers and employees of both companies, good job with this one.